It’s the unofficial start to summer 2013 and the Summer Vibe Collection from Blank Slate Patterns releases today! Melissa’s newest collection includes the Retro Romper, Baja Hoody, and Big Island Board Shorts (affiliate links), but of course these pieces will work well paired with previous Blank Slate patterns. 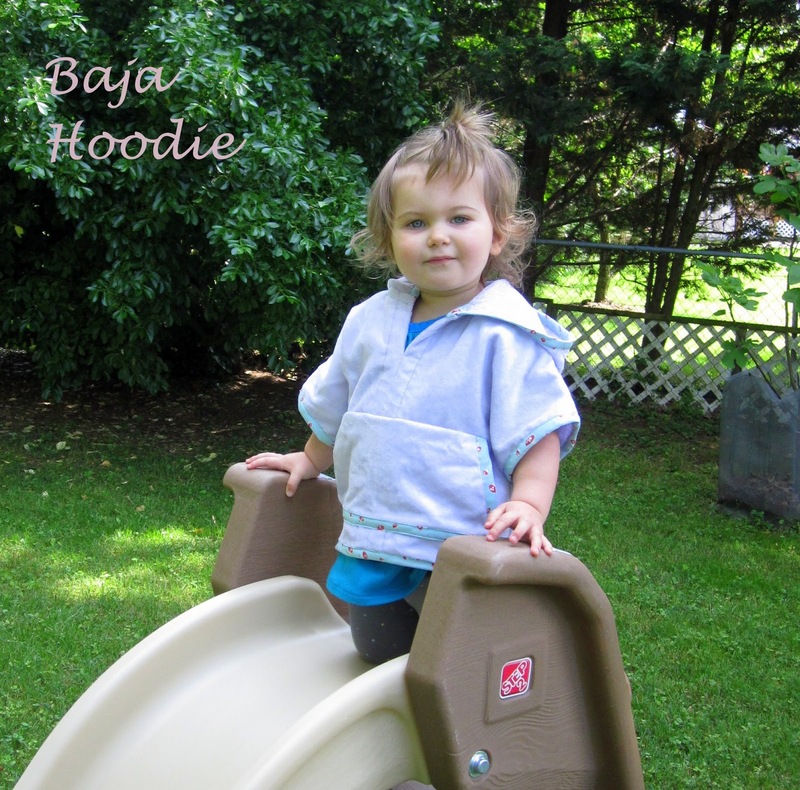 I tested two of these three new patterns and they are sure to be summer favorites. 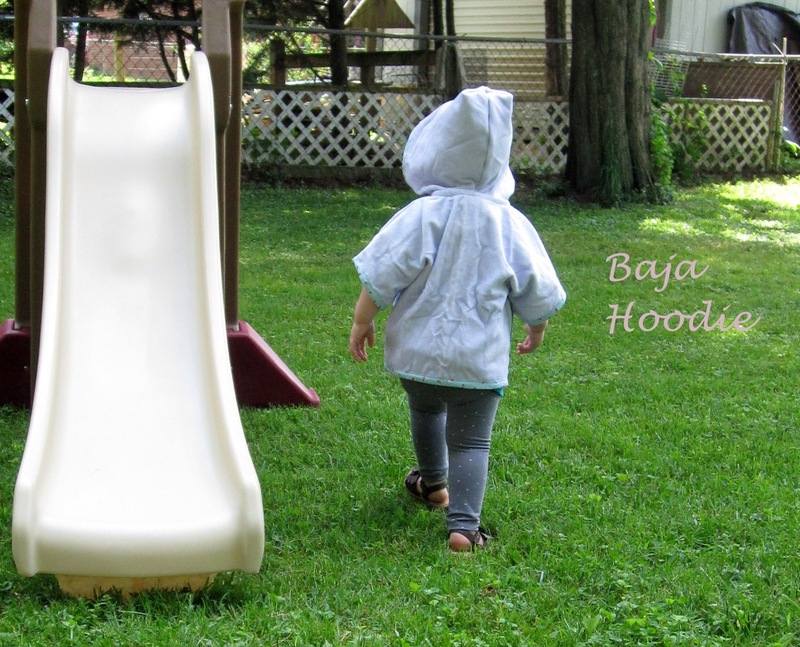 I had big plans for pictures of Bean in her new Baja Hoody and Retro Romper this past weekend while camping. sorry it looks so wrinkled! Of course the temperature dropped on Friday and it was in the 50s the whole weekend! So the pictures I took before the weekend will have to do. No fun romper camping pics. 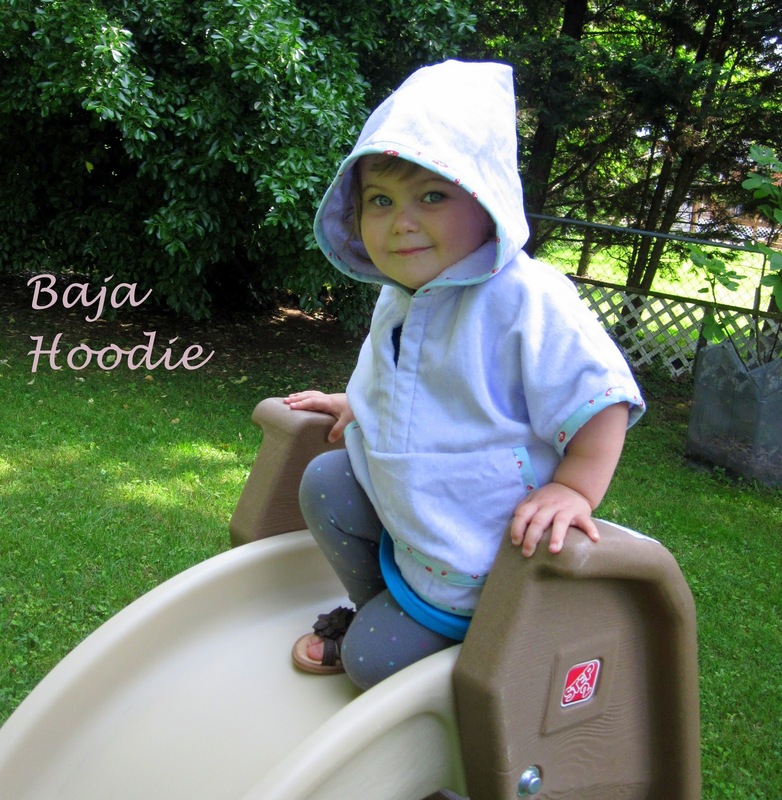 The Baja Hoody is a great beachy cover up. 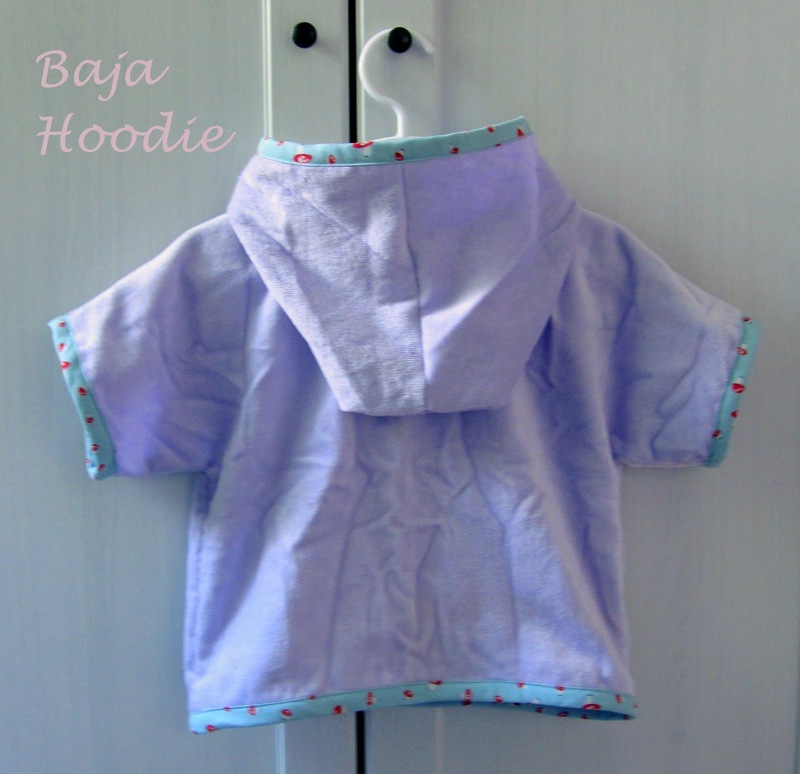 I made this one out of a lavender french terry that is nice and soft to the touch. The bias tape is some I made using a piece of this toadstool fabric I had left over from a quilting project. I love fun bias tape and this pattern is a great way to feature some. 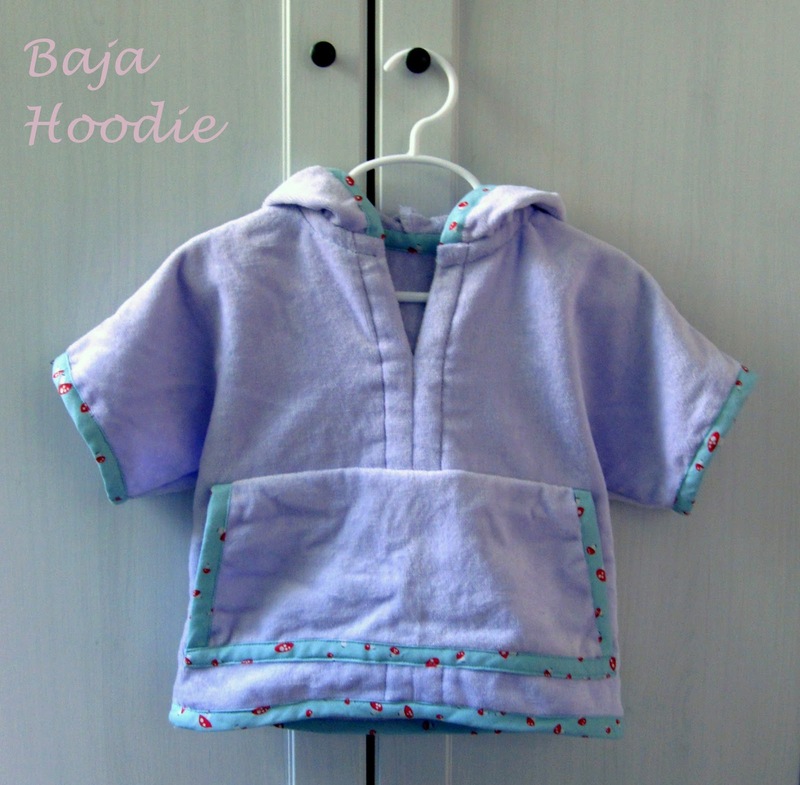 Though both the pattern picture and the test Baja Hoody I made used terry cloth, you could easily use any woven fabric to get a different look. The neck opening is big enough that the fabric doesn’t need any stretch to it. The next one I make will be with a sweatshirt fabric. Maybe I’ll make the sleeves slightly shorter with elastic at the edge as well. That’s my favorite part about these patterns. They lend easily to so many fun ideas and modifications. I’ll post some pics of the fun romper I made later this week. The fabric combo I used is one that I am also using for another project I have in the works so I’m not ready to show it just yet, hehe. 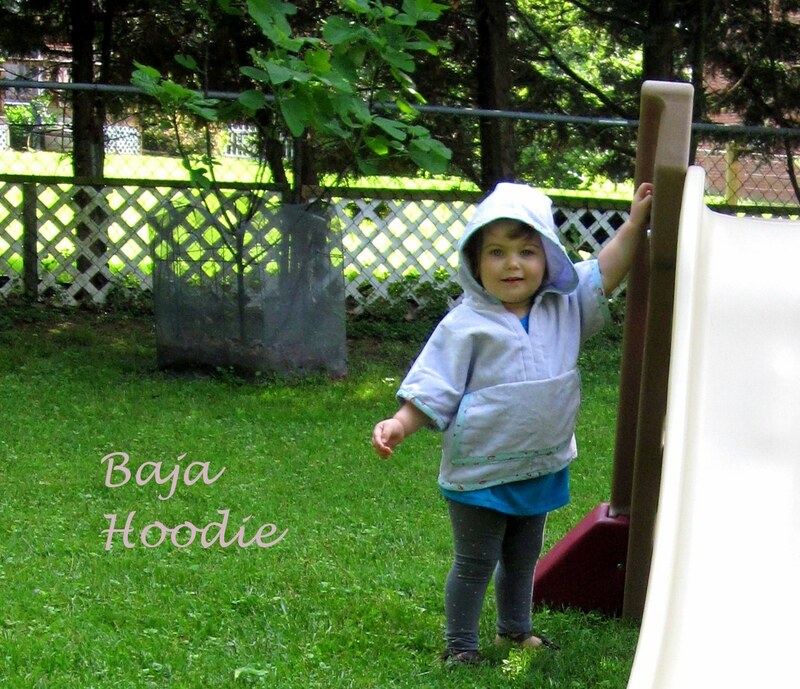 In the meantime go get yourself the Baja Hoody pattern. Adorable – love the handmade bias tape. Love this! Especially that big pocket for cold hands. Last summer was HOT, but usually we're swimming in frigid waters and need a nice warm cover up when we come out. And by 'we' I mean the kids. Ha. Definitely cute and it looks easy! Look at that hair! These patterns are so cute! I had one of those rompers when I was little, pretty sure….